July 10, 2014 by Melanie L.
Despite my initial reluctance to join the site, I quickly became addicted. I logged on so frequently and clicked through so rapidly that I met the site’s algorithm for “most popular.” But, “popular” was a term of data. Almost all of my dates were first dates. I sat in constant judgment of each date, measuring him up against an unrealistic set of parameters as if Prince Charming, himself, would arrive on a white horse after giving Cinderella a pink slip. Since none of my dates were the Prince, I found fault with every last one. Though, in truth, the fault was always mine in the finding. Years later, after a failed marriage and much soul-searching, my new improved self was ready to move on. So, I turned back to my trusty online site. Like me, the site had undergone some changes and upgrades in the intervening years. Among the newer questions, the site asked me to describe my perfect first date. Because bad habits die hard, I was tempted to create a long list on scrolled parchment of my must-haves: a handsome, swarthy, non-smoking, gainfully-employed, single parent of good height and solid weight with black curly hair and long eyelashes over soulful eyes and a sly smile that hooks me in. He would let me control the parameters of the first date, yet he would propose what I had in mind without any clues from me. He would pay for a first drink, but he would sidestep the financial dance of expectations. He would be a man who would listen intently, nod appropriately, care deeply and share excitedly. In essence, I wanted a drop-dead gorgeous, empathetic, psychic mind-reader. I dared myself to agree to meet anyone who didn’t seem like an ax-wielding psychopath, because, well, I had to have some standards, and I resolved to enjoy each date. I might learn something new, or gain a fresh perspective, or simply meet a very nice person worthy of my undivided, un-judgey attention. A mere six weeks later, as I was settling in and really starting to enjoy this new dating strategy, wouldn’t you know it, I ran smack into the guy from my scroll, the guy who puts the fictional Prince Charming to shame, the guy who couldn’t possibly exist. Only, he did. . . and he was there to meet me. That was fifteen blissful months ago and I’ve been thanking my lucky stars ever after. Haha! Yep! Thanks for reading! Thanks for reading and commenting! Glad you enjoyed the read. Yes, Dave. Yes there is. And that goes for you, too. Great post — and it gives me hope, too! 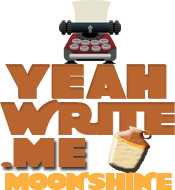 You’ll notice my Yeah Write grid post is a dating horror story – and there are several more on my blog (and a LOT more deeply repressed in my head). I’m happy for you! LOL, we must be on the same wavelength! I just posted a comment to your piece the exact second I got a notice that you posted to mine! I’m going to go exploring on your blog now. So glad I found it today! This was both hilarious and soul-searching. Love the way you wanted to describe the perfect first date 😀 Thanks for my morning laugh! Sorry for the delayed response! I’m really glad you enjoyed the read! Thanks for commenting! I’m glad this had a happy ending, because sometimes online dating stories can get ugly, lol. Fingers crossed that it stays this way! Aw yay, I love a happy ending. Good for you! Haha! I never tried okc. Some of us just take a while to find what we’re looking for 😉 at least you kept looking!! Yep! I guess so. Thanks for reading and commenting!! I read this last night and then my computer crashed so I couldn’t comment, but it really resonated with me. What is it about society trying to marry women off? We all buy into it too, guilty as charged. I want companionship as much as the next but is marriage what we should all aspire to? Also, it would be interesting to write a list of what we want in a partner now as compared to 20 years ago. How that list has morphed into something totally different. Great read! Thank you! And I totally agree that our lists change over time. As we grow and change our perspective shifts, our needs alter and we adjust our lists accordingly. Thanks again for reading and commenting. Hope your computer ceases to crash! You’re welcome: it was such a romantic story I had to include it in a list of favourites for the week. I love this story. Great to enjoy this happy ending. Here’s to you! Really enjoyed this piece. I like the humor you used in it. Thanks! I’m glad you enjoyed it. Thanks for stopping and commenting! 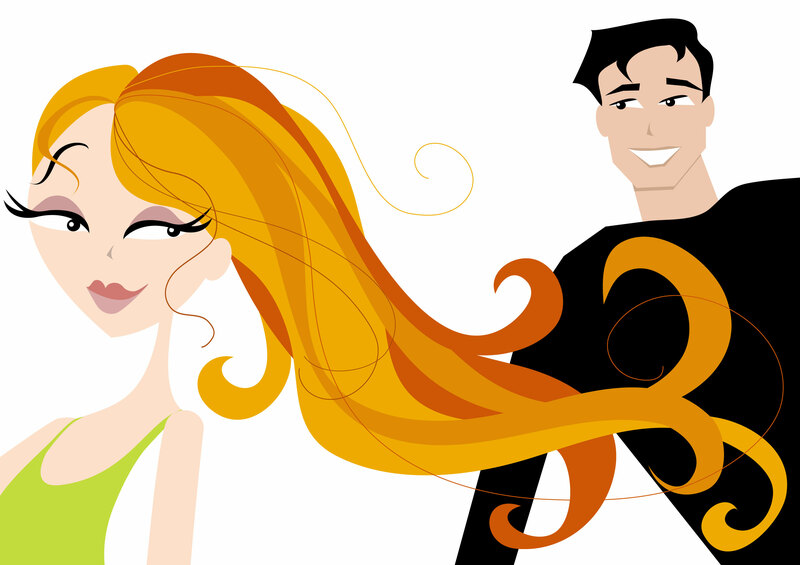 The ‘paradigm shift’ with respect to the way you approached your dating issues can be well-nigh applied to many other subtle issues which we grapple with in life. The most tricky thing here is to identify the opportunity when it comes, because, more often than not, it comes camouflaged. Ok, better late than never – thanks so much for the Ping!! I do apologize for my tardiness and I really like your post too! better late than never in all things: comments, replies, and awesome first dates!